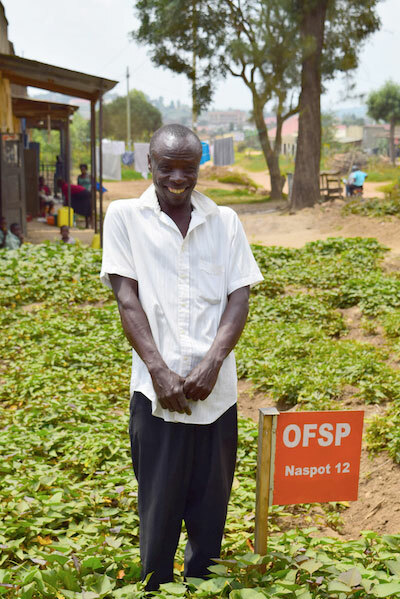 Bekunda’s plot of orange-fleshed sweet potatoes in Kabwohe, Uganda, which he sells in the market and eats at home. The black horse symbolises famine ­– its darkness depicting the brute force of hunger. But this brute force that hunger presents sometimes goes unseen. The effects of hidden hunger or malnutrition include lack of essential micronutrients (vitamins and minerals), which affects more than 2 billion individuals worldwide – that’s seven times the population of the United States. The effects can be devastating, presenting learning and memory deficits, poor physical outcomes, low productivity and, in the worst of cases, death. While hidden hunger has adverse effects for all individuals, it particularly impacts children in the first 1,000 days of their lives, and pregnant women. While hidden hunger is inextricably linked to poverty, the prevalence of under-age-5 stunting in Zimbabwe (27.6 per cent), Somalia (25.9 per cent), Gambia (23 per cent), Togo (29.8 per cent) and Burkina Faso (32.9 per cent) is lower than it is in Uganda (33.7 per cent) – despite each of these countries having lower GDP per capita than Uganda. What can we learn from this? Hidden hunger is not merely a problem of poverty, but also of poor child-feeding practices. We can see this clearly in Uganda, where the loss of productivity due to under-nutrition costs the country as much as 5.3 per cent of GDP annually. The solution requires a systemic approach that is sustainable – not dependent on traditional aid or short-term food programmes. A long-lasting solution should incorporate not only nutrition and health education, but also support long-term food security and agriculture sector improvements. And it can begin with a single vegetable. Biofortification is the process through which the nutritional quality of a staple food (in Uganda, foods like rice, sweet potatoes, cassava or wheat) is improved through plant breeding to include micronutrients. It presents a cost-effective, long-lasting, sustainable solution to malnourishment, particularly suited to impoverished individuals living in rural areas whose diets are heavily comprised of staple crops with minimal nutritional value. For people living in developed countries, nutrition experts recommend individuals diversify their diets to improve their health, eg, eat more vegetables and protein instead of just carbohydrates. But for people living in poverty, especially in sub-Saharan Africa, these foods are too expensive or unavailable. In countries like Uganda, where the majority of the population is still largely dependent on staple foods like rice, biofortification is arguably the best approach to improving malnutrition. The government of Uganda has recognised the need for action, initiating the Uganda Nutrition Action Plan (UNAP) in 2011, which outlines Uganda’s plan to promote production and consumption of diversified biofortified staple food crops. Biofortification has yet to be fully scaled up in any single country; however, much evidence and experience has been assembled to assure its eventual effectiveness. While efficacy and effectiveness studies have not yet been completed for biofortified maize, cassava or golden rice, they do exist for orange-fleshed sweet potatoes (OFSP). Results from several studies show that increased consumption of OFSP, in cooked or raw form, is successful in alleviating Vitamin A deficiency – a threat to public health that causes night blindness, illness and even death from common infections like diarrhea, especially in rural areas. To bring the world’s attention to a promising approach to global under-nutrition, Michelle Obama has even expanded the White House Kitchen Garden to grow orange-fleshed sweet potatoes. Through Feed the Future, President Obama’s pioneering food security initiative, USAID has been scaling up the use of orange-fleshed sweet potatoes to thousands of poor communities vulnerable to stunting. However, true change cannot be achieved through a top-down approach alone. It must come from the bottom up as well. Government efforts should be coupled with training farmers to grow biofortified crops like the OFSP and other grassroots initiatives in rural communities. Smallholder farmers are especially important to target because they not only consume the crops they grow, they also share their biofortified seeds and vines with neighboring farmers. This is a start, but in order to improve rates of malnutrition on a broader scale, equipping farmers with biofortified crops should be coupled with community outreach to educate people about the health benefits of eating these foods in order to actually create demand. The largest NGO in Uganda, BRAC, is operating such a programme there, ‘An innovative, integrated approach to enhance smallholder family nutrition,’ funded by the Japan Social Development Fund (JSDF). 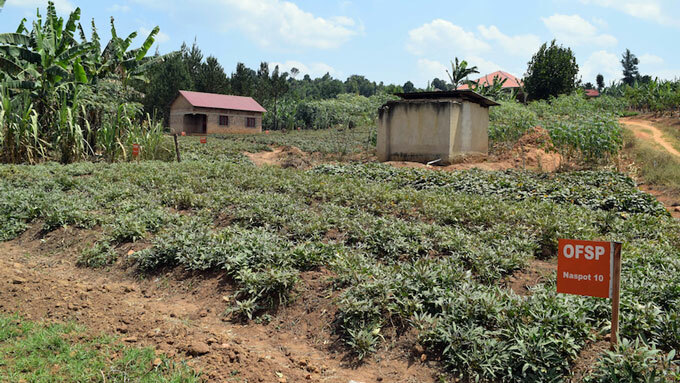 The project aims to improve the nutrition of 19,200 smallholder households in Mbarara and Masake districts by promoting the cultivation, consumption and adoption of nutrient-rich crops like OFSP. It also seeks to improve child, adolescent and maternal health through reduction of malnutrition levels and promotion of dietary diversity. The project started by giving out free OFSP vines to smallholders and is now switching to disbursing the vines like loans. Farmers have to acquire vouchers and present them to receive the vines. In BRAC’s JSDF project, agriculture promoters are selected from the community and trained by BRAC to train smallholders how to grow various nutritious crops. As of the end of 2015, 11,106 farmers had been trained in the JSDF project. 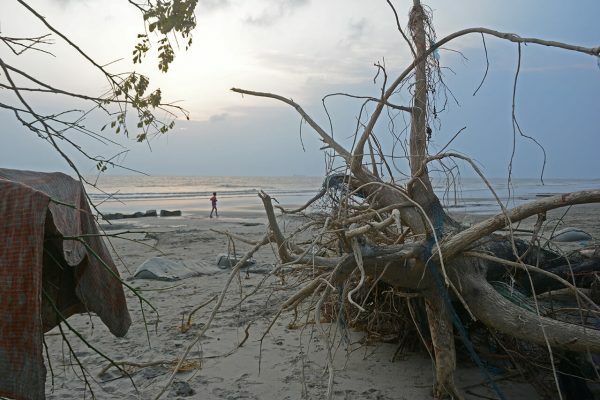 BRAC also selects vine producers and teaches them to multiply vines, which are sold to the smallholders and to BRAC itself. Marketing agents assist the vine producers in locating the smallholders to sell to and support the smallholders in selling their crops after harvest. Community health workers also participate in the project by visiting smallholder households to conduct monthly growth monitoring and promotion sessions. To ensure maternal health in a more sustainable way, community adolescent promoters teach adolescent girls in the villages about various topics concerning sexual and reproductive health and what they can eat to counter deficiencies in iron, Vitamin A or other micronutrients. BRAC also involves its flagship microfinance programme by providing credit to the farmers. The programme educates mothers and adolescents on the benefits of OFSP to them and their children and encourages its consumption. Atwine Teopista, a mother of an 8-month-old boy who attended the monthly growth monitoring sessions held by BRAC’s community health promoters, was encouraged to seek out antenatal care and was provided a 10kg bag of OFSP. She later gave birth to a healthy boy, Alex. 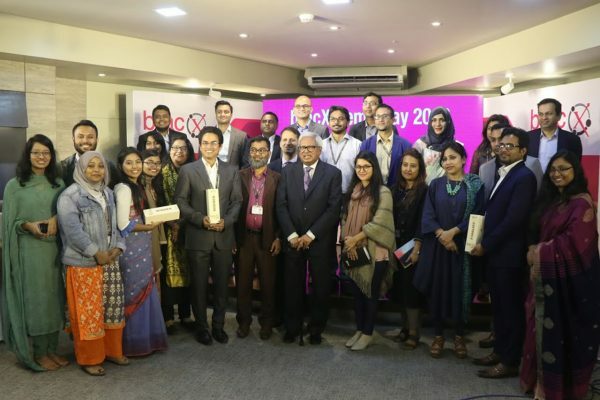 BRAC is cognizant of the difficulties that come with marketing food that is healthy, as healthy food is generally not considered tasty – especially if it’s unfamiliar to local consumers. Thus, BRAC encourages the sale of a variety of products made out of OFSP, which attract more attention than just some strange orange potato customers have never seen before. This includes OFSP flour for baking deliciously nutritious cakes; even french fries/finger chips can be made to enhance nutrition. Despite the challenges associated with the marketing of healthy food, children seem to prefer the taste of orange-fleshed sweet potatoes compared to the traditional potato. Children just need to be made aware of the existence of the not-so-strange orange potato. Eliminating hidden hunger is not easy, but with resources in the right place, with governments, donors and civil society working together and with the right policies developed, we can introduce poor children in developing countries to a nutritious vegetable they will come to favour. That will lead to significant progress in enhancing their nutrition. Tarini Mohan is a programme adviser at BRAC USA.